Based in India, Aspirinox Alloys Inc is a recognized manufacturer, exporter, and supplier of Cupro Nickel 90/10 Sheets & Plates. These plates are mainly used for seawater services. Addition of iron in these plates was made to increase its resistance to general corrosion. These Cupro Nickel 90/10 Sheets are a strong ductile product which shows good corrosion resistance properties. They are available in the form of shim sheets, hot rolled, cold rolled and polished. 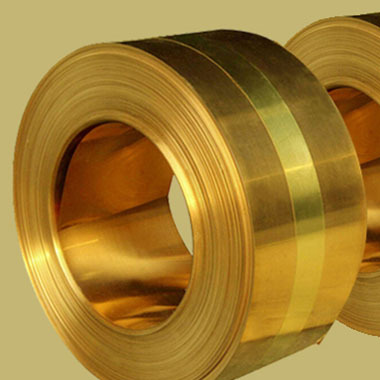 These Cupronickel 90/10 Hot Rolled Sheets & Plates as well as Cupronickel 90/10 Cold Rolled Plates & Sheets are mainly adopted by the power generation industry, petrochemical industry, pharmaceutical industry, chemical equipment industry, gas processing industry, oil drilling companies, condensers industry, heat exchangers industry, sea water equipment industry, pulp and paper industry and many more. Also, we keep the largest stock of Cu-Ni 90/10 Perforated Sheets and Cu-Ni 90/10 Chequered Plates that ready for sale. The Cu-Ni Alloy 90/10 contains a huge percentage of copper. Mechanical properties include density of 0.323lb at 68 F with a melting point of 2260 F and yield strength of 20000 psi with a tensile strength of 50000psi and an elongation property of 30%. If you need a free quote, give us call today or additional product information! Specifications for Cupro Nickel Grade 90/10 Sheets & Plates. If any specification is not mentioned here, please use the contact button for quick quote. Request the latest Cupro Nickel Grade 90/10 Sheets & Plates List. Please click on the request a quote button or click here to request the updated price list and ready stock information along with your requirement. Aspirinox Alloys INC maintains a stock of all standard items and can export them at best price for Cupro Nickel Grade 90/10 Sheets & Plates.